Remember being a kid and trying to eat those enormous popsicles, the ones so big they needed two sticks to hold them up? If they stayed intact, they were awkward to eat, and if they broke, you’d end up awkwardly holding one half-popsicle in each hand or trying to catch big chunks pieces falling off…it just wasn’t a great design choice for a kids’ dessert. Especially when spills and slips had the potential to be so gross and sticky. Here’s a better idea: why not make smaller popsicles, and if you want more, you can just eat another one! These mini treats are perfectly sized for little hands and mouths, and they’re totally Paleo-friendly – no added sweeteners at all! 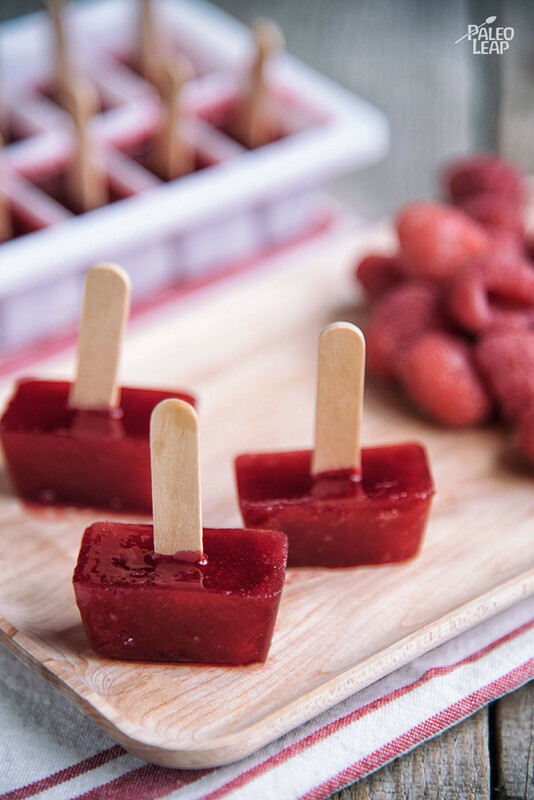 If you want, you can fancy them up with some fresh raspberries before freezing, or with anything else that sounds fun (just for one idea – if you pour a little coconut milk into the bottom of each ice cube section before adding the raspberries, you’ll get a fun color contrast with white tips on the popsicles). SERVES: 4 PREP: 5 min. COOK: 15 min. 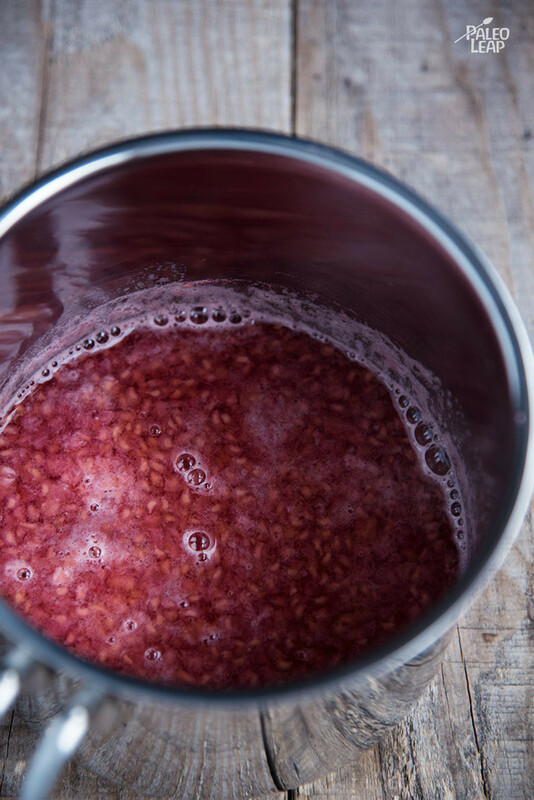 Combine the water and raspberries in a saucepan over medium heat. Let simmer for 10 to 15 minutes, until the mixture sticks to a spoon. Remove from the heat and drain using a fine sieve to remove unwanted seeds. Pour the mixture into each hole of an ice cube tray. You can also add fresh raspberries to the popsicles before freezing.